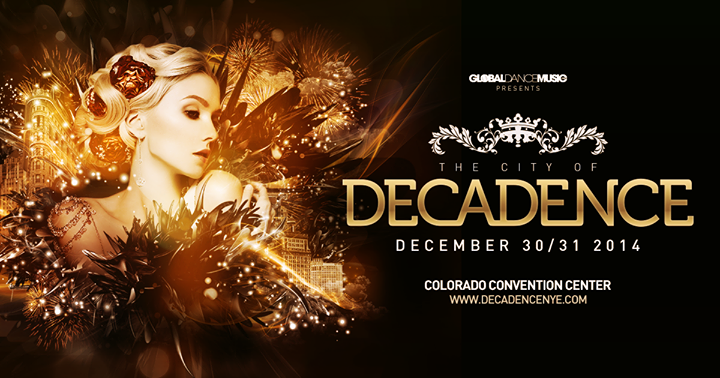 A bunch of my Electric Forest family and I are going to the New Year’s Eve night of Decadence in Denver, Colorado. I cannot wait! This is truly going to be a New Year’s Eve to remember. Lydia and I are taking the Amtrak from Osceola, Iowa on Monday night at 7pm and we will arrive in Denver, Colorado just as the sun is rising over the mountains on Tuesday morning. Trailer for Decadence 2014! We are in for a treat on New Year’s Eve!